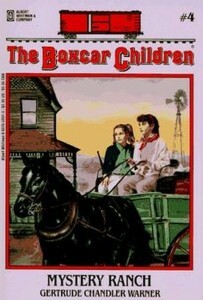 Benny | "A Stitch in Time"
Well we are still trucking along on the Boxcar Children series by Gertrude Chandler Warner. Book number 4 or Mystery Ranch was a lucky garage sale find for us… we had it on hand and everything! So as soon as we got done our book 3 review (HERE) we moved onto this one. So please enjoy our review. As always, be aware that Gavin CAN let spoilers slip. I do not censor him when I type up his review. I actually read this book in one sitting at the hair salon. It was a nice escape from the noise while I was stuck sitting down. I would say this is the shortest read (for me) so far. But the story is no less entertaining. There is the usual mystery, a new location and interesting characters to meet as well as the same basic 4 children and dog with their loving grandfather. I think this is the first time I had Gavin question what something was listed in the book. An ore that came up had to be discussed but as usual the illustrations were fun (though our cover was more modern the illustrations inside were not and a lot more interesting.). I can honestly say it is not a hardship to be required to read this and have a discussion with Gavin. I am also looking forward to book 5 which we could only find on ebook form at our local library. It is a really good book because they put a lot of effort into the mystery. I would read this book again. I did not know the answer to the mystery until I got to the last bit of the book. I like this series. I still enjoyed the second book (HERE) the most. My favourite character in this book was Benny with his dog (Watch) because Benny is funny and Watch is cute. Now I have read a lot of the classics, some of the obscure and many Canadian children’s stories… I don’t know about you but I ate up Nancy Drew and the Bobbsey Twins (although I am pretty sure the latter has been heavily edited to suit current times). 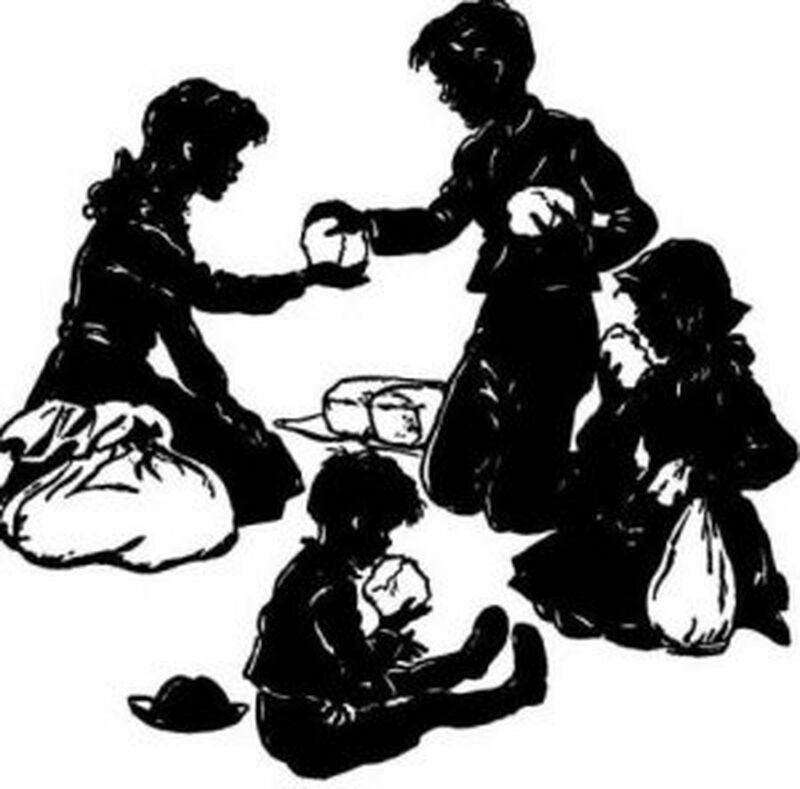 I had seen in passing The Boxcar Children books by Gertrude Chandler Warner, and even picked up a couple later in the series for the kids this summer, but I had not read them myself. So for October when the twins requested the first in the series before they read 12 and 13 that we purchased at a garage sale I figured I should read too. I honestly can say I enjoyed the story. We lucked out and got our hands on an older copy with amazing pictures of the kids always without definite features and colour. The basic back story is relatively simple and rather vague. These 4 siblings (as we come upon them) are on the run from a “mean grandfather” who did not approve of their mother after the death (from unknown circumstances) of their parents. Henry and Jessie with Violet and Benny are creative and strong children who are determined to stand on their own two feet and keep each other safe. The story is good, there are 4 children. It is not a very long book. I have only seen the first one. 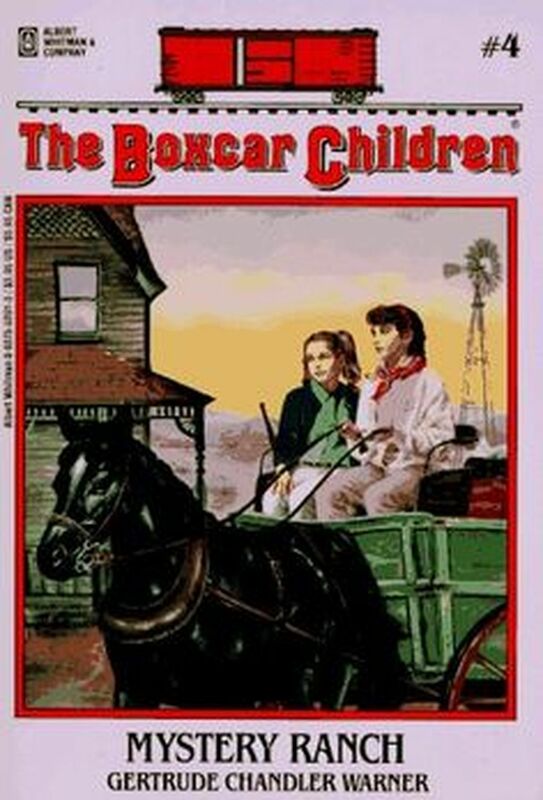 I like reading the Boxcar Children. I think my favorite parts were the water fall fridge and the time one of the kids ran in a race and won 25 dollars. I want to read the whole series. It is a super altra awesome book. my favorite part is that they are living in the boxcar. It could have some more drama in it. They could add color into the pictures. I want to read every book (in the series). And there you have it… a children’s book that not only the children but the teacher/mom enjoyed! Do check it out!